One of the maintenance projects on the to-do list this spring is repainting the wooden trim around the windows. I'm batting around the idea of painting the front door. Black would be the safest choice but I'm thinking of going with a color. 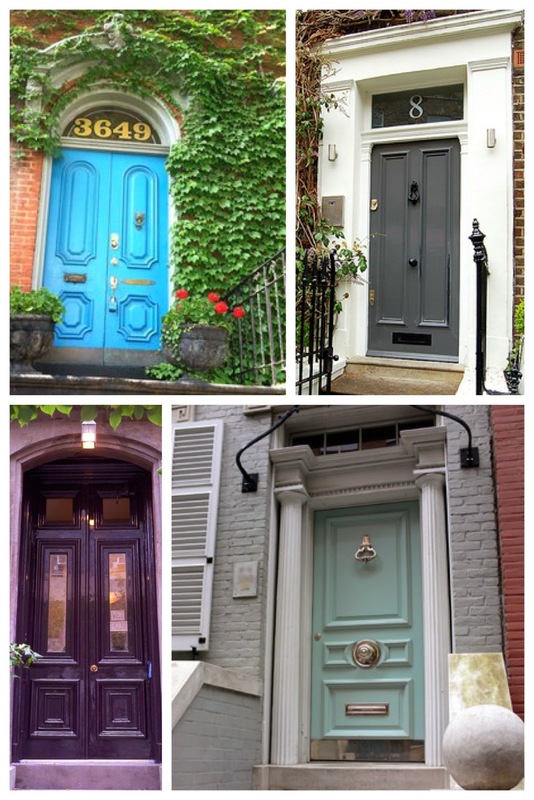 What color is your front door? How do you like it? I think this might be a silly question- don't you have outside doors and then an inside front door? Which would you be painting? I think a color would be so fun and unexpected on the inside front door! On the outside doors, too, actually. So, color everywhere! Ha ha. I have exterior double doors and then a heavy inside front door as well. I really like the offwhite color of that second door so I wouldn't want to change it..its just the exterior door that is currently stained that could use a refresh. Mine front door is green....It confirms to the HOA rules (Ugh). Happy Monday! Mine is Farrow and Ball Oval Room Blue, which is a lovely dusky pale blue. I get loads of compliments on it. It has been that colour for about 5 years, so I am flirting with the idea of painting it again, and if I do, I was thinking of going with Downpipe, also by F&B. Love that color! I'm putting that one on the top of the list. My neighbors didn't really like it, but it's not their house (it's mine) and i don't have an HOA to be concerned with. I went with something that would make me smile every time I walked up to it. Yellow. Benjamin Moore's Showtime to be precise. The inside of it is black though, an uneven splotchy gloss black that badly needs to be repainted. I have a red front door but I loooove the bottom right option for you! I recently took on the project of restaining our front doors, and love them! All of the options you posted are gorgeous - I don't think you can go wrong. I saw Farrow & Ball's "Downpipe" on a front door (similar to the gray door), and it is absolutely stunning. Another great shade. Its going to be a tough decision. Wedgewood blue! The bricks on my house are a faded pink (from the 60's) and all the trim is white, so the door is my bright spot. When the family first saw it, they loved it and it looks great with mixed planters in the summer. mine is pale pink. 'Pink Slip' by Little Green. I'm married to a very sweet man, who although his face paled when it was first suggested, actually agreed when he saw the paleness of it. I think he had visions of Barbie pink. Before that it was a pale sage green. Looking forward to seeing the colour you decide on. I recently went from Black to BM Purple Rain #1386 on the front and side doors of our brick home. LOVE the color!!! Mine is burnt orange (50's MCM house). I love it - it's much better than the off-white it used to be. Our's is black for the moment-- when we were in Ireland I fell in love with this yellow door I bet you could rock it. Mine is Fennel by Zoffani (well, a trade mix of that colour due to price). Lovely soft green - had it for some years now and will probably keep it next paint. I love dark grey - have it all over the house, but not for my front door as it opens to the garden, not the street. But in an urban zone it's very smart! Recently got the approval for Sherwin Williams Raisin from the HOA and am just waiting on the painter to get back to me on when he can start. Navy blue and I love the color! It looks very good with the red brick of our house! My front door is like a magenta pink on the outside and a light grey on the inside (since it's in my living room) and I love it! My husband thinks I'm nuts, but it makes me happy everytime I drive up the street and see my door. Mine is yellow! I never would have thought I'd go with yellow, but against the gray exterior paint, it's so cheery and fun. I love it. Ours is red! I think the color was called Ox Blood. I love it and have had many stop to ask what the color is, you know some reds show too pink. KICK ME WHILE I'M DOWN!!! My HOA just painted our building and my front door is now a lovely shade of POOP BROWN. My front doors ( double doors) were previously stained wood. I'd been wanting to paint them black for a few years. The painter did not want to do it. After convincing my husband, then the painter, we went with black. My house is the color of the inside of a Three Musketeers candy bar. All the rest of the trim is white. The doors go well with the black of our lights, etc. Everyone loooves it. Ours is chartreuse, and we LOVE it! Our house was built in 1900, is light gray with dark gray shutters and a black roof. The trim and the columns on our front porch are all painted white. We currently have a red bench on our front porch, but I want to repaint it in cobalt blue. Total red girl!!! But my house is a very traditional southern beauty. Blue shutters, red brick, white porch, red door.  We live in a limestone too. Our front door is black, with cream trim around the casing. Windows are the same. Mine is in Ralph Lauren's Turret Stair and after five years I still like it. Lately I am also into deep navy blue, and walnut stain with brass hardware. Red is always a nice color as someone suggested. Even Emerald is lovely. However, since my favorite color is Turquoise I will probably paint it that color. Ooh or I could totally do outside the norm and paint it cobalt blue. Ours is black with colourful stained glass panels and transom and brass hardware. Glass has red, purple, blue and yellow. It works well to lift the black. After 4 years I still love it! Ours is a deep red and I love it. Not super original, but it goes so well with our dark gray house and black shutters. Fire Engine Red! We actually had it painted at an auto body shop, and while we there, we saw a fire truck in for repair and we loved the red of it so much, that we asked for that red! It sounds bright, but it's a rich red. Bright red. Our house is a colonial style, and when we re-sided it to be white with black shutters, I just needed a red door. So perfect for Christmas, and beautiful the rest of the year, too. I'm fairly certain we copied the Petersiks and went with Fabulous Red by Valspar. Kelly Green! I've always loved Kelly Green so I googled 'green doors'. There were a lot from Ireland including one with a hand pained horse looking out a dutch style half door. If you can believe it, we actually saw the exact door in Ireland at a small house on a dirt road out on the west coast. Our's doesn't have the horse, but I always think of our lovely trip to Ireland and all the green doors we saw there. My front door is red & I love it. I also have a storm door - living in the country I leave my entry door open all the time to let the breezes in. I just replaced my old black storm door with a new white one. I loved how the black framed the red entry door - the trim was painted white. We decided to go with a white storm door this time, to match the trim but also hopefully to reflect the heat. My entry door faces west & is an open concrete stoop. The reflected heat in the summer reaches 120' easily & higher in a typical summer. If I only had color to consider I'd keep my red entry door framed with a black storm door but I think I'll still be happy with the white. I went for bright red and I call it the lipstick for my house. I love it! Ours is a very grape-y purple. It's a good landmark for people. We inherited the purple doors when we bought our house 12 years ago. Purple was the previous owner's favorite color and we've honored her by keeping the color (though a brighter shade) through a recent house painting. Benjamin Moore- Raincoat yellow. I love it, we live in a 1840's brickfront in Boston, We have bronze as the main color inside the exterior vestibule and window trim, the mailbox, door handle and house number are all polished nickle. The front of my house makes me happy, and doesn't look like a typical Boston brick. Mine is burgundy. Love it. A dark! Turquoise. Sherwin Williams Dark Knight. I love it!!! It looks almost navy or black from afar but it's really a very very dark teal/turquoise. Perfect almost black but still a color. raspberry red. I love it. It has been this color for 10 years. It is accented by grey for the house and white for the trim. BM Poolside Blue, love it, looks great on my door which is very MCM. Plus it is such a cheery colour. Our double door entry is bright green - on a white house with white shutters, so it isn't competing with much of anything else! Go for a color! You can always paint it Black if you hate the color!